It only takes a few seasons to realize that you are not going to want to reseed your land every year. Not all of it, anyway. The mass appeal of perennial plants for long term gardeners is the idea that these plants should return the following year. If they are cared for properly they might return for years after that. Trees offer the same benefits of perennial plants except most offer foods that are harder to get. Things like nut protein and sweet fruits come from trees. If cared for properly trees can also last many growing season. Meaning that you have a source of food in the ground that does not require reseeding each year. Lets talk about growing fruit trees in particular as they can be very beneficial. Aside from fresh eating these trees are also going to grow fruit that can be dehydrated or canned for long term storage. Who could turn down a jar of delicious brandied peaches? 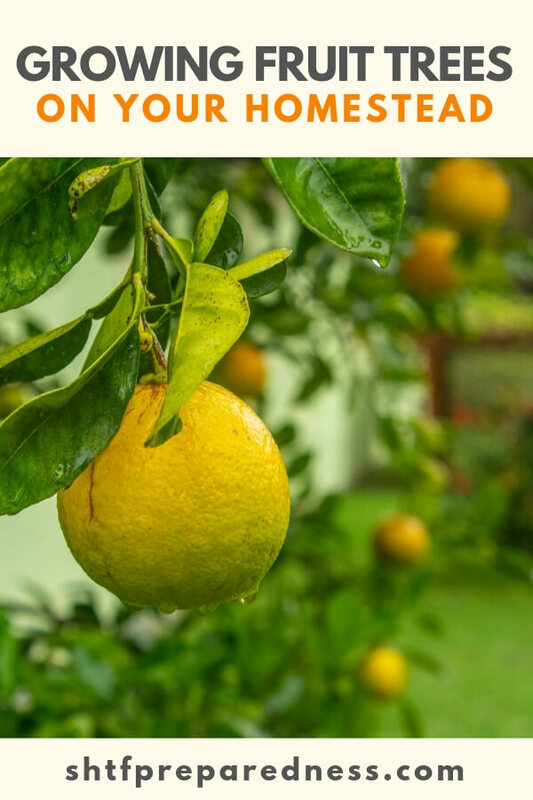 There are some things to consider when it comes to growing fruit trees and we will explore them, briefly, below. 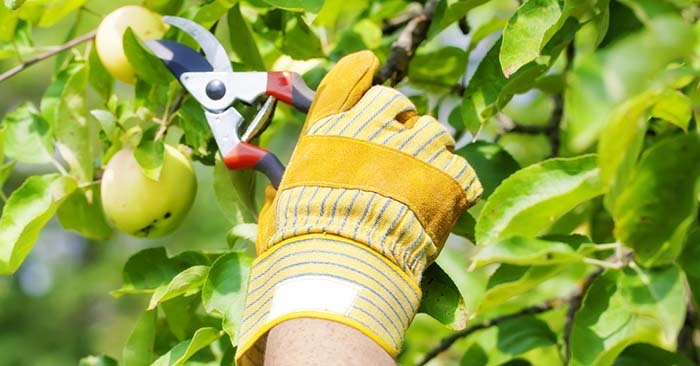 On of the most important responsibilities, when it comes to raising fresh fruit is pruning the trees. You see, trees are going to produce as many flowers, fruits and subsequent seeds as it can. This is natural. Lots of fruit might sound good but too much will only yield small fruits. Pruning is the act of cutting branches back and limiting the buds. This means less fruit but bigger tastier fruit. You aren’t the only one that likes apples. You need to use some sort of pest control if you are to save any fruit for yourself. That is just the reality. You don’t have to use something terrible and toxic but you better deter bugs and birds, if possible. In the early years fruit trees need to be protected. They saplings and even trees a couple years old can be eaten by rabbits and other small animals. A small cage a couple feet high can provide all the protection you might need.